Enter the secret world of the Ninjago fighters! Train under two great Masters of Spinjitzu in a book of ancient lore, ninja trivia, thrilling tales and quizzes! 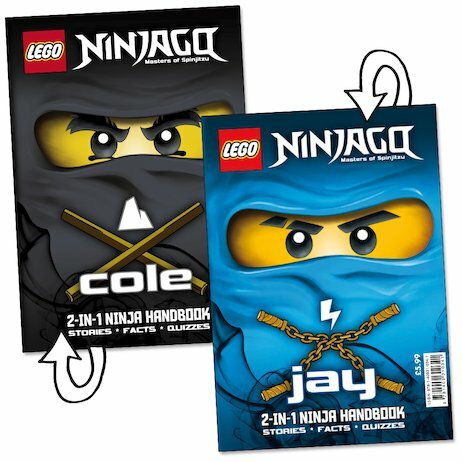 Unlock the ancient mysteries of LEGO’s exclusive ninja range in this gripping 2-in-1 guide, packed with the facts and strategies that YOU need to know if you’re going to save the world from evil Lord Garmadon. From the secrets of the four Golden Weapons to the warcraft skills that every ninja needs to know, join two of the Chosen Four and take your first steps into Spinjitzu history!